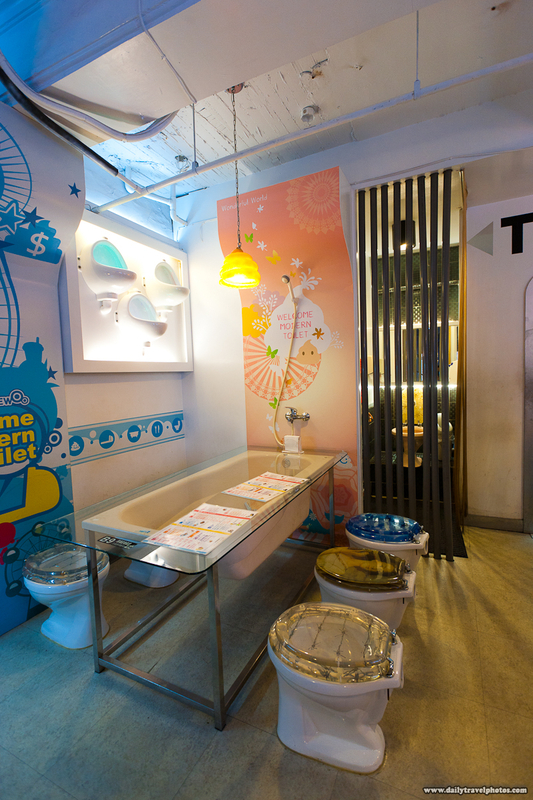 A restaurant table with toilets as seats at Modern Toilet restaurant in Taipei. 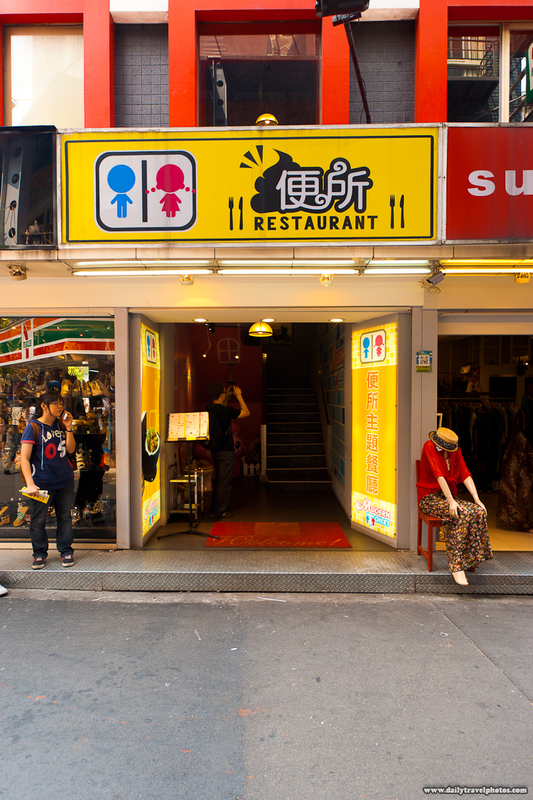 With several locations around Taiwan, this novelty restaurant has grown quite successful simply riding the coattails of kitsch and toilet humor. As you can see, the table is made up of an old tub and customers cop a squat on porcelain toilet fixtures. You can peak into the back behind the grating. There you can see even the sink is a converted toilet. The real bathroom toilet however was rather anti-climactic. It was nothing but a white toilet which begs the question, what did I expect? The front entrance to the Modern Toilet Restaurant in downtown Taipei. Everyone seems to be having a laugh riot inside, eating while seated on toilets. You have to see it for yourself to believe it! Food photos to come tomorrow. Believe me... you have to see this!